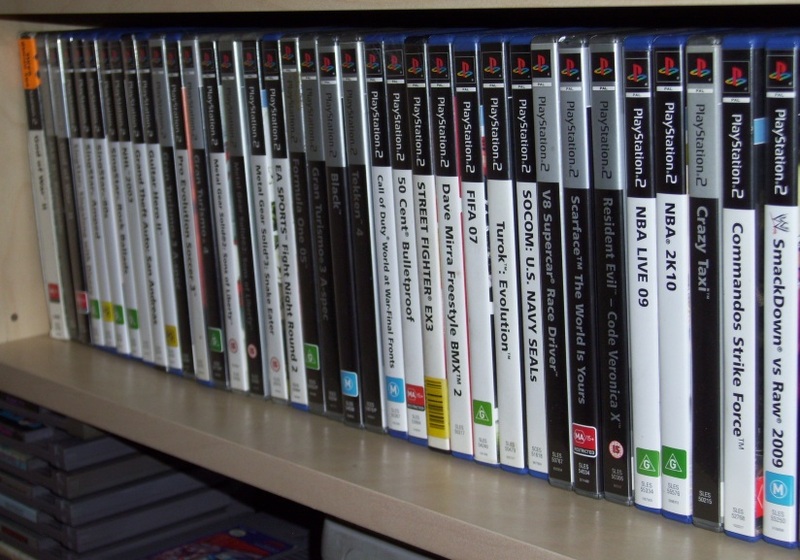 So far this year is off to a good start in regards to my game collection with the addition of about 20 titles for PS2. I’ll likely take a closer look at NBA 2K10 as it’s an interesting release for the PS2 (one of the last releases for the platform). Resident Evil Code Veronica again is another interesting game, Street Fighter EX3 and Black will be looked at more closely on the site soon with possible ‘let’s play’ videos to come of those games. Thanks to my friend Adam for these games, there are some great games in the list and will take a while to go through them all and play each one. Thanks again. I only got one more game for my collection in 2013 ; Red Faction sealed for about 15$ shipped. Looks like the prices are still good on ebay…there will be a day when those sealed games won`t be affordable anymore.